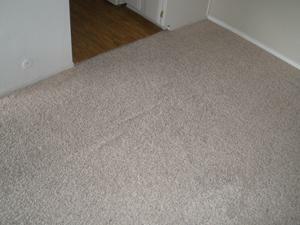 For excellent carpet cleaning and vacuuming tips in the Birmingham, AL area, you have come to the right place. Maintaining clean carpets is very important and vital to the longevity of your carpets, so we decided to put together a few tips to help you along the way. · Vacuuming carpets once a week and sometimes more often in the high traffic areas is a must! For one, it helps prolong the life of your carpet because it prevents buildup of gritty particles that if not removed, can cut carpet fibers. You will also want to use the crevice tool every few weeks around your baseboards and other hard-to-reach areas. · To vacuum wall-to-wall carpet spaces, make a mental division of the space into quadrants. Focus on each quadrant and cleaning it well before moving on to the next quadrant. · When vacuuming thicker and plusher carpets, be sure to take your time. Dirt can get buried deep into those surfaces and one high powered pass with an upright vacuum is just not sufficient. Be sure to go over each area a couple of times and to work slowly allowing the suction of the vacuum to remove all of the dust and dirt. · In areas where people sit and move their feet around, you will want to vacuum with a crisscross pattern of overlapping strokes also allowing slow passes to remove all dirt and grime. 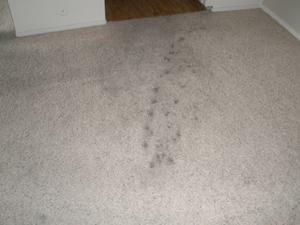 · Soil Retardants can also be applied to help prevent stains on new carpet or newly cleaned carpets. Please follow manufacturer’s directions for use in whatever products you use. · Last, baking soda can be added to the vacuum bag to help with odors. If you are looking for a clean slate to help get your carpets back into the desired shape and condition, give Heaven’s Best Carpet and Rug Cleaners of Birmingham, AL a call at 205-618-9150 or visit us online for more excellent carpet cleaning and vacuuming tips.